256MB SDRAM memory - upgradeable to 1GB. 40GB hard drive. Most low end applications don't require a big drive. However; if you need a bigger drive, just let us know. The picture is for representation only. 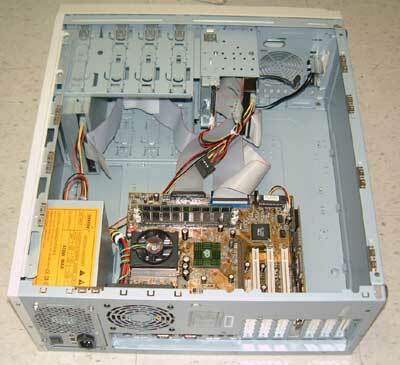 We may use a different case and/or motherboard based upon availability but functionally you will get a computer system as described and with one ISA slot. If your requirements are different, contact us and we can configure a different system for you. Since the technology used in such systems is older, some of the parts in this configuration may be used or refurbished. Our warranty will cover all parts, new, used or refurbished.